Barbie doll has the best accessories! These accessory packs offer a themed pack with eight versatile pieces (like purses, jewelry and/or hairpieces) or a pack with five pairs of fabulous shoes. The accessories can mix and match to add to storytelling fun. 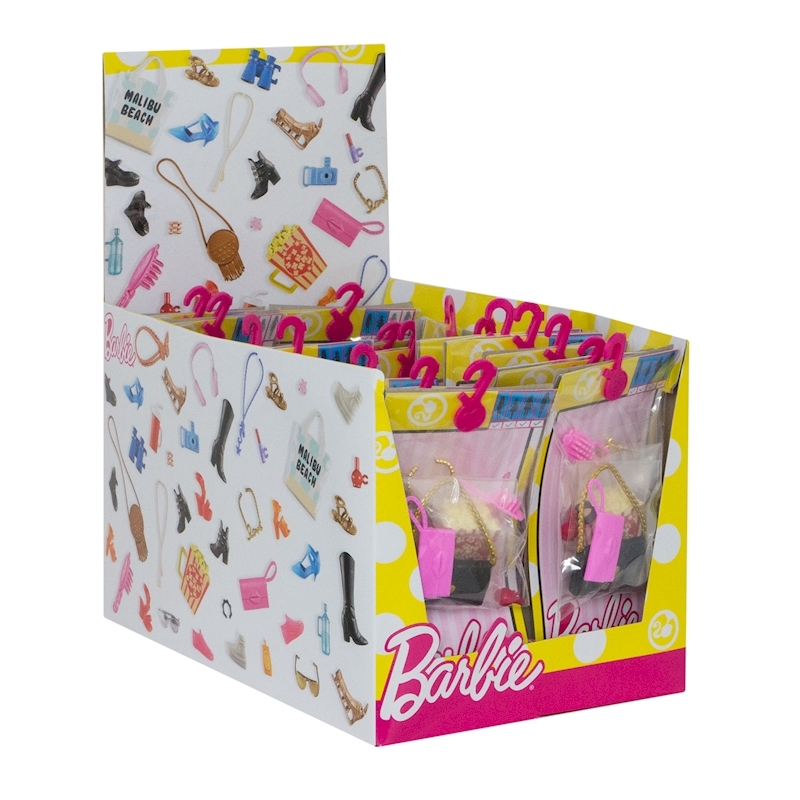 Young imaginations will love finding the perfect pieces that fit their style and tell their stories (each sold separately, subject to availability) -- because with Barbie, you can be anything! 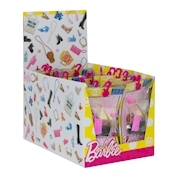 Packs feature accessories for Barbie dolls of all body types; doll not included. Colors and decorations may vary.